I’ve already mentioned that I’m not a fan of Super Bowl commercials being released early, but that’s just the way it is now. I can’t believe I missed this Audi ad that will premiere during the game. If you ask adults about high school, many will react with bitterness and/or resentment. So this funny story of the dateless wonder who gets the confidence to make out with the prom queen only to be punched out by the prom king will undoubtedly resonate. I like his black-eyed grin and that primal yell at the end is simply great. And Audi’s tagline of “Bravery. It’s what defines us” is pretty brilliant. 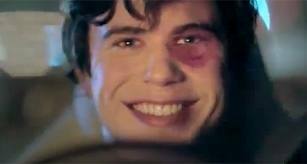 Look for this to be one of the most popular Super Bowl commercials. These Mentos commercials from the ’90s are campy, cheesy, catchy, and ultimately awesome. They had such a big impact on pop culture that the Foo Fighters did a parody in the video for “Big Me.” I’ve included a some of the more memorable ones, but there’s more on YouTube. 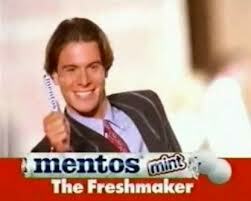 Mentos: The Freshmaker! Today, the Oklahoma City Thunder head to LA to face the struggling Lakers. So this seems like a good time to mention a few commercials featuring the biggest stars from each team: Kevin Durant and Kobe Bryant. This Sprint commercial with Kevin Durant is fun and silly. Nothing groundbreaking, but the visual of Durant in ill-fitting pajamas sure is amusing. Speaking of, the word “pajamas” is inherently amusing. And it turns out the wife is appreciating the fact that her husband is suddenly more height blessed. And now Kobe Bryant for Nike. Being a Nike commercial, it’s pretty awesome, if a touch pretentious. Excellent copy that suggests counting on Kobe is like any other inevitable thing in the world. Very cool visuals, ending with #COUNTONKOBE. It’s the introductory spot to the Kobe8System, his newest sneakers. It’s 2013, and ’90s nostalgia is in full effect. Internet Explorer, once the top web browser worldwide until being overtaken by Google Chrome (and challenged by Firefox), is getting in on the mood with this sentimental video. It’s been garnering a lot of buzz around the Internet, with more than 4,000,000 views on YouTube in three days. The ad taps into wistful memories of us ’90s children, what with Oregon Trail, Super Soakers, L.A. Lights, Hungry Hungry Hippos, and Pogs. The message: you’ve changed and so has Internet Explorer. There’s even a site which takes the Domino’s-esque route of “we know we sucked, but now we’re good.” So will it work? Probably not. Both IE 9 and 10 have gotten positive reviews, but there seems little incentive to change once one is happy with a web browser. It’s a nice try though. In the last few years, Super Bowl teasers have started popping up in the days and weeks before the big game. It’s something of a polarizing topic…I’m not a big fan and neither is Jalopnik. There’s something cool about waiting for the commercials and not knowing what’s to come. Though it is important to note that many of the teasers are just that, and are mere hints of the ad. Volkswagen is always one of the big Super Bowl players, and here’s a teaser of theirs. I like it. It creates an amusing mood by juxtaposing YouTube’s saddest/most pissed-off with a ridiculously catchy song by Jimmy Cliff. And yes, they all get happy in a hippie-ish, “I’d Like to Teach the World to Song” scene. It’s fine if you haven’t heard of Booking.com. I hadn’t either until I saw this commercial tonight. And there’s a very simple reason for that. Booking.com is a travel site owned by Priceline based in Amsterdam that has been hugely popular in Europe, but isn’t a household name in the U.S. But now Booking is going for the American market, and this splashy spot created by Wieden+Kennedy Amsterdam is an interesting debut. It starts with the bombastic voiceover. And then something odd happens. With the line “you got it booking right”, the narration keeps using the word “booking” in place of a certain profanity. That’s a real attention grabber. The intentionally overdramatic acting is entertaining. It’s not an amazing ad, but it’s definitely memorable. And for a company trying to get a foothold in the crowded American travel market, it accomplishes the goal. After a lengthy lockout, the NHL is back today. I’m not a big hockey fan, but it’s nice for those who are. One of the best goalies in the world is Henrik Lundqvist of the New York Rangers. Henrik is Swedish. And so is the Swedish Chef. 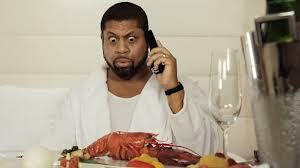 Therein lies the humor of the newest commercial from the great, long-running This Is SportsCenter campaign. Robert Flores seems a little freaked out by pickled herring and blodkorv. And good luck to Linda Cohn on getting that hamburger.